Palace fans felt Mohamed Salah had dived to win a crucial penalty for the visitors. Mohamed Salah was in the middle of a diving controversy in Liverpool’s 2-0 win over Crystal Palace on Monday night but Reds boss Jurgen Klopp refused to get drawn on whether his player had actually conned the referee or had genuinely stumbled. Palace gave as good as they got for the opening 45 minutes but right at the end of the first-half, there came a pivotal moment in the tie. Salah fell, under minimal contact, in the box and referee Michael Oliver didn’t hesitate before point ing to the spot. James Milner stepped up and cooly put the visitors ahead, before Sadio Mane would score a late strike to make sure of the three points for the Merseyside outfit. “I didn’t ask Mo about it (the penalty). I have nothing to say about individual performances,” Klopp stated at his post-match presser. The Egyptian winger was involved in two pivotal incidents in the second half as well. The first being when he was through on goal, only for Aaron Wan-Bissaka to trip him on the edge of the box and Michael Oliver promptly gave the young defender his marching orders. Mane’s injury-time strike was only possible due to Salah’s deft assist, capping off an eventful outing for the club’s talisman. 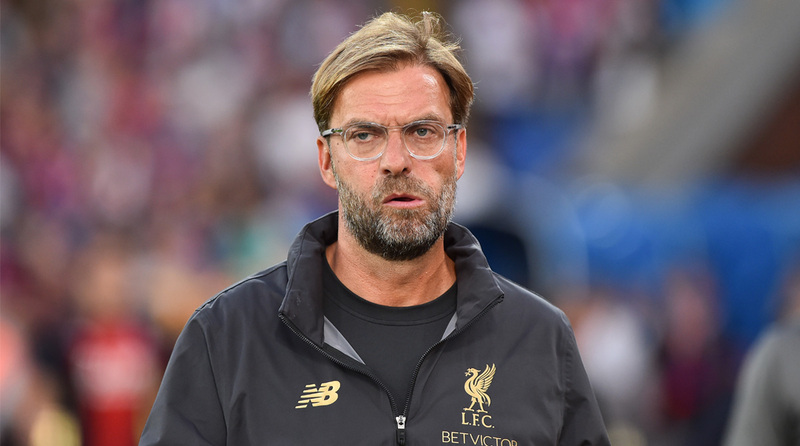 “I thought we could have done better, but yes we expected Palace to be that strong and clear in their approach against us, playing a big number of long balls,” Klopp expressed on the match as a whole. Liverpool’s second win in a row ensured they kept pace with Manchester City at the top of the Premier League table and they next face Brighton & Hove Albion at home. “It was really, really good. It’s obvious. Quality costs a specific price, it’s with cars like that, with a lot of things like that and with players as well, that’s why we paid it,” Klopp gushed on the topic of star defender Virgil van Dijk. Palace have a reputation of being hard to beat under Roy Hodgson, yet managed to play a positive brand of football and Monday’s win at Selhurst Park was a valuable one indeed for the Merseysiders. Goalkeeper Alisson was another defensive player who shone in a tough away game for the title contenders and his manager was delighted with the Brazilian’s displays. It’s been an impressive start to life at Liverpool for the £66 million signing as he’s kept two clean sheets in as many games so far. “We won it because we scored in two very decisive moments. That’s good. It’s for us a big step because if you watch us a little bit more often you know that when we are not brilliant we usually lose! And today we were not brilliant but we still won. That is nice. Not completely new, but at least not often an experienced situation for me,” the Liverpool manager added.